North America dates in 2016 are very special "Surfing To Shockwave" evenings with Joe featuring a retrospective of his career w/ songs not played live in over 20 years! This is a very special Chickenfoot reunion show with Joe, Michael Anthony, Chad Smith and Sammy Hagar. 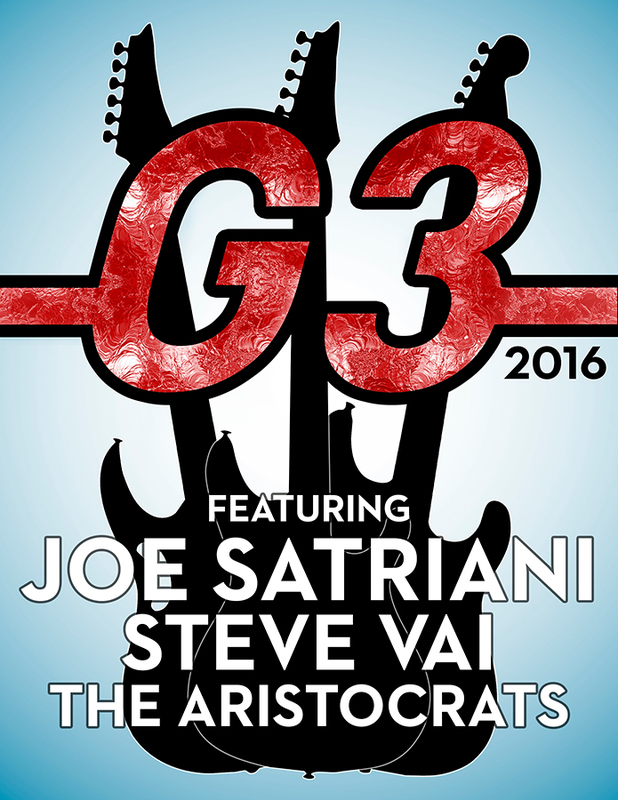 This is a G3 date featuring Joe Satriani, Steve Vai, & The Aristocrats.